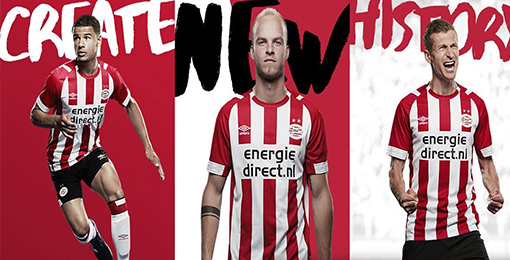 If you want to buy cheap psv eindhoven shirt for 2018-19 season, buy it here in cheap-football.com , Check our exclusive range of psv eindhoven Football Shirts / Soccer Jerseys and Kits for adults and children at amazing prices. Get the cheap psv eindhoven jersey shirts, soccer kits with wholesale price, Free Shipping Worldwide! PSV Eindhoven is a sports club in the Netherlands, in the city of Eindhoven in North Brabant. The club is known primarily for its professional football team. It was founded on August 31, 1913, plays in the Eredivisie of the Dutch football league.The history of PSV contains two golden epochs around the conquest of the 1978 UEFA Cup and the 1988 European Cup as part of the triplet it won that year. The team has won 23 Dutch leagues, the KNVB Cup nine times and the Johan Cruijff Schaal ten times. Throughout the years, PSV passed world class players and future stars like Ruud Gullit, Ronald Koeman, Romario, Ronaldo, Phillip Cocu, Jaap Stam, Ruud van Nistelrooy, Jefferson Farfan and Arjen Robben.